Now open as a special exhibit, “Anne Frank: A History for Today” takes Dallas Holocaust Museum visitors beyond the pages of her diary by providing a broad perspective on the Holocaust, human rights, the Nazis, and the Frank family’s experiences in hiding. The exhibit introduces new contextual information and insight into the conditions and timeframe in which Anne Frank and her family lived. At the exhibit opening on Jan. 14, two educators shared their insights into the life of Anne Frank and her diary. Hilary Stipelman, Director of Outreach and Exhibitions for the Anne Frank Center USA, spoke movingly of the universal lessons Anne’s diary shares with the world—courage, optimism, hope and difference-making, to name but a few. “She left us one of the first written accounts by a family suffering under Nazi tyranny,” Ms. Stipelman said. Although Anne and most of her family members did not survive the Holocaust, her wish to go on living, to affect people’s lives even after death, was granted. Her diary, discovered by her father after the war, was published in the original Dutch in 1947 and translated into English in 1952, soon becoming one of the most widely read and beloved stories of all time. One of the most widely-read books in the world, “The Diary of a Young Girl” has sold 40 million copies in 70 different languages in the last 69 years. Reading the diary entries can be gut-wrenching, especially knowing what would become of the young girl. But the endless stream of lessons for humanity and the abounding hope that flows from the pages of her diary continue to inspire readers across the globe. In the exhibit, selected diary entries are presented alongside eleven free-standing panels that intertwine the major events of the Holocaust with pivotal moments in Anne Frank’s life. The exhibit also features a replica of the bookcase that hid the entrance to the secret annex in which Anne and her family lived for two years in hiding. Guests can enter the room via the bookcase door to read about her legacy and watch a short film on her life. While Anne’s diary tells the story of a young Jewish girl’s life in hiding, it does not discuss details of the Holocaust, the Frank family’s decision to go into hiding, or exactly what happened to them after they were betrayed and deported in August 1944. The exhibit fills in these blanks, providing information on Anne Frank’s story before and after her family’s time in the annex. Like the diary itself, this special exhibit speaks to the universal lessons that the story of Anne Frank and the Holocaust can offer us today. Guests will leave the Museum with a better understanding of the value of human life, the need to protect life, and the importance of standing up for society’s most vulnerable. By putting a name and a face to the overwhelming scope of destruction, the story of Anne Frank personalizes our relationship to the events of the Holocaust and allows us to look at evil through a new lens, one brimming with hope, courage, and resolve. “Anne Frank: A History for Today” is open during regular Museum hours until May 31. Be sure to join us for these additional events related to the exhibit (learn more at DallasHolocaustMuseum.org). Spring Break Events: March 7 through 25; Explore and learn with family-friendly activities throughout Spring Break. Theater Performances: March 18 & 19, 2016 at Museum; Conversations with Anne; Two live performances each day at 2 p.m. and 6:30 p.m.
Exhibit Sponsors: Clampitt Paper, Dallas Tourism Public Improvement District, Dallas Office of Cultural Affairs, The Catholic Foundation. 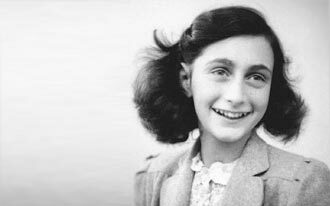 “Anne Frank: A History for Today” was developed by the Anne Frank House and is sponsored in North America by the Anne Frank Center USA.